Mino ware (美濃焼, Mino yaki) is a form of pottery from the Mino region of Gifu Prefecture in central Japan. Developed over some 1,300 years, Mino ware was recognized as a Traditional Craft by the Ministry of International Trade and Industry (now the Ministry of Economy, Trade and Industry) in 1978. The Mino region itself is divided into three sub-regions: Seino (west), Chuno (central) and Tono (east). In particular, the Tono-area cities of Mizunami, Tajimi and Toki are known for their porcelain and ceramics. Mino ware is believed to have evolved from Sue pottery (須恵器, Sue-ki, pictured above), an unglazed, blue-gray form of pottery introduced to Japan from southern Korea in the mid-fifth century. Production in the Mino area is estimated to date back to the seventh century, made in single-chamber, sloping kilns called anagama, which were dug directly into the hillsides. Ash-glazed pottery began to be produced in the region around the 10th to 11th century. However, during the Kamakura Period (1185-1333), it was not Mino, but the kilns in Seto City just to the south (in what's now Aichi Prefecture) that flourished—and Seto’s kilns are still renowned as one of the Six Ancient Kilns of Japan. But many potters from Seto fled north during the unrest of the Muromachi Period (1336-1573), building large new kilns in Mino. The subsequent stabilization of politics toward the end of the 16th century allowed ikebana and tea ceremony to flourish, and Mino ware stepped in to meet the exploding demand for ceramics. There are 15 different Mino ware techniques recognized as Traditional Crafts today. The four most influential early styles were Kizeto, Setoguro, Shino and Oribe. Dating back to the Azuchi-Momoyama Period (1573-1600), yellow-green Kizeto built off designs from Song dynasty China. Setoguro, on the other hand, was an original technique, believed to be the first black glaze in Japanese ceramics. Shino was marked by red scorches and small pockmarks on thick, milky, ash-based glaze. Oribe is noted for its intentional irregularity and green and white glaze, though red and black variants also exist. Fired in connected climbing kilns, it was developed under the guidance of Furuta Oribe, a former retainer to the powerful Oda Nobunaga and Toyotomi Hideyoshi, warlords who worked successively to unify Japan in the late 16th century. Oribe himself studied tea ceremony under Sen no Rikyu, considered the father of the Japanese tea ceremony. 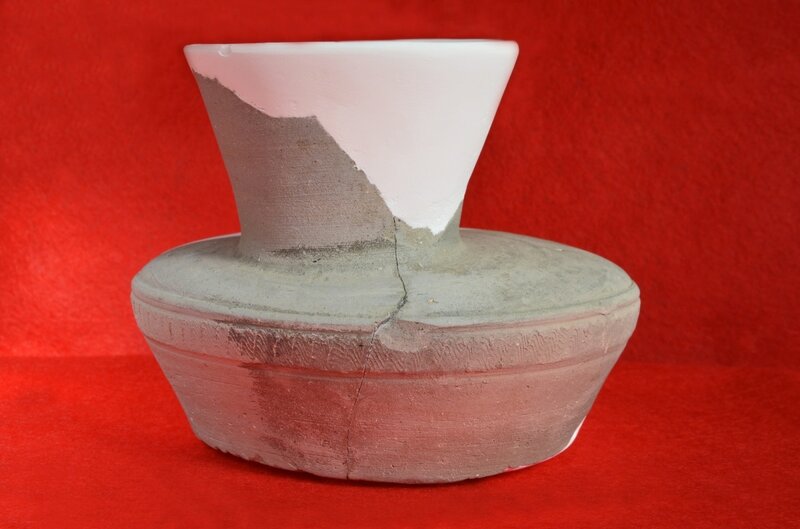 Today, the Mino area continues to produce some 50 percent of Japan’s pottery. Aiming to support the growth of the ceramics industry, the International Ceramics Festival Mino has been held in Tajimi City every three years since 1986, with the 11th installment planned for September to October 2017. If you can't wait to get your hands on some Mino ware, take a look at some of the options below!